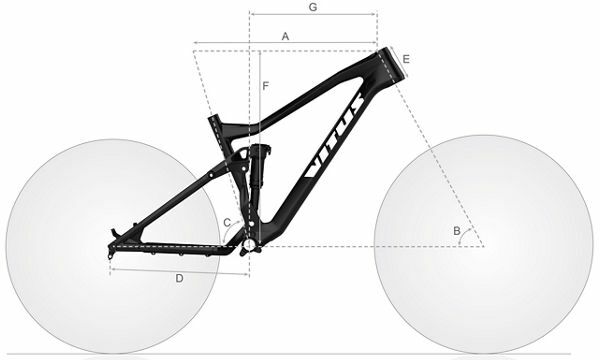 Big and boisterous riding has rarely been better than with Vitus' Sentier models and the addition of this terrific 29er reinforces their MBR Hardtail of the Year pedigree. A quality build and great components make this a mountain must-have. Built around a modern geometry-shaped low, long and slack alloy frame, this sensational Sentier 29er is equipped with high-end tech and spec to let you get down and dirty on every ride. An impressive 130mm travel RockShox Sektor RL Boost fork soaks up every impact, while wide Maxxis 3C tyres, a Shimano SLX 1x11 drivetrain and powerful MT-500 hydraulic disc brakes give everything you could ever need to ride as rowdy as you like. Kitted out with ISCG 05 chainguide mounts, dropper post routing and a tubeless ready setup, this huge hardtail is a hero of the mountain.